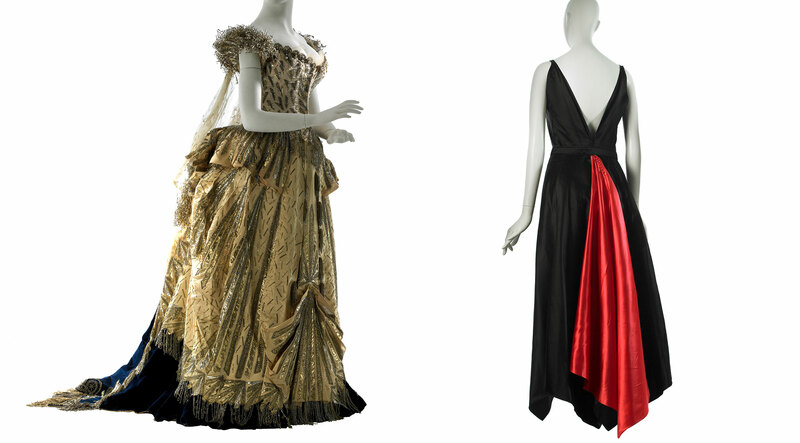 In 1860, Englishman Charles Frederick Worth (1825-1895) founded a Parisian atelier that defined the luxurious standards of the haute couture and set high fashions stylistic course for the balance of the 19th century. Almost seven decades later, Chicago-born Mainbocher (Main Rousseau Bocher, 1891-1976) perfected those standards while designing in Paris and later transported his Parisian-based skills across the Atlantic to New York. In so doing he modernized the language of the couture, streamlining it to suit the lifestyle of the socially prominent 20th century New York woman. We invite you to view 119 stellar garments produced by these two designers garments owned and worn by fashionable New York women and now in the care of the Costume and Textile Collection of the Museum of the City of New York and to explore them from the outside-in. This web presentation combines comprehensive catalogue entries with social histories and also provides detailed technical observations on the details of their construction and internal finishing techniques. Through this close reading and analysis, we hope to demystify some of the apparent wizardry of the Houses of Worth and Mainbocher, and to shed light on the genius of their art and craft.